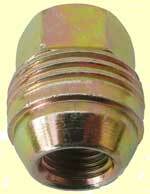 Well made replacement track rod ends for the PT Cruiser with a big saving on the OEM price. Fits either side for all petrol and diesel PT's . Fits all 1.6, 2.0, 2.4 & 2.2 CRD PT Cruisers 2000-2010. Replacement steering rack rod arm. Fits either side for all petrol and diesel PT Cruisers. Fits all 1.6, 2.0, 2.4 & 2.2 CRD PT Cruisers 2000-2010. 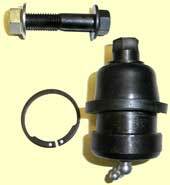 Top quality replacement ball joint for the control arm (often called the wishbone). Sold individually, will fit both sides. Fits all 1.6, 2.0, 2.4 & 2.2 CRD PT Cruisers 2000-2010. The PT’s rear suspension is reliable but should a fault occur - clunking sounds from the rear of the car for example, the Watts centre bars link, or bell crank as it is called in the USA, should be checked. The centre bush in this non-servicable part can wear in time - accelerated by bumpy roads, speed bumps etc. This centre bar link connects together the two Watts link bars that keep the rear axle in its correct position. 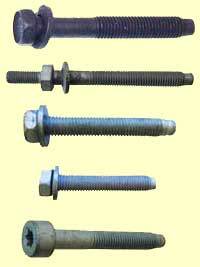 Click here for the fixing bolt.Fits all 1.6, 2.0, 2.4 & 2.2 CRD PT Cruisers 2000-2010. There are two Watts link bars on the rear suspension, an upper and a lower one. Each is connected to the central track bar link (bell crank) at the ball-joint end and to the chassis at the other. Fits all 1.6, 2.0, 2.4 & 2.2 CRD PT Cruisers 2000-2010. 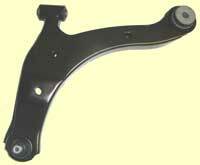 Link for the rear anti-roll bar (also known as the sway or stabilizer bar). There is a link on each side of the PT connecting the anti-roll bar to the chassis. Fits all 1.6, 2.0, 2.4 & 2.2 CRD PT Cruisers 2000-2010. Clamp for the front anti-roll bar. Replacement metal clamps that secure the rear anti-roll bar to the rear axle. Bolt for the rear anti-roll bar clamps. Fits all 1.6, 2.0, 2.4 & 2.2 CRD PT Cruisers 2000-2010. Replacement engine torque-strut which is fitted to the lower right hand side. There are two types, one for 2.0 & 2.4 litre petrol PT Cruisers and another for diesel 2.2 litre CRD models. The diesel strut has been re-designed by Chrysler to better control the higher torque of the diesel engine. We supply a bolt adaptor (exclusive to the PT Company) with the strut enabling it to be used on earlier diesel models too. 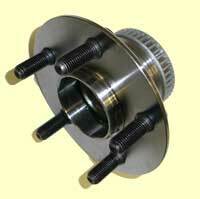 Replacement upper engine torque-strut which is fitted to the top right-hand side of petrol engine PT Cruisers. Fits 1.6, 2.0 & 2.4 litre petrol and 2.2 litre CRD PT Cruisers 2000-2010. 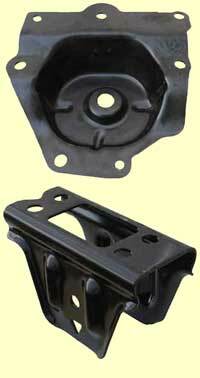 Replacement engine mount that fits on the right-hand side of the engine. Fits 1.6, 2.0 & 2.4 litre petrol and 2.2 CRD PT Cruisers 2000-2010. This mount fits on to the top of the gearbox where it connects to the engine. Fits all 1.6, 2.0, 2.4 & 2.2 CRD automatic and manual PT Cruisers 2000-2010. Bolt for fixing the rear track bar link (bell crank) to the chassis. Fits all 1.6, 2.0, 2.4 & 2.2 CRD PT Cruisers 2000-2010. Replacement bolts for the lower control arms (wishbones). Fits all 1.6, 2.0, 2.4 & 2.2 CRD PT Cruisers 2000-2010. Timken-NSK replacement front wheel bearing for the PT Cruiser. Fits all 1.6, 2.0, 2.4 & 2.2 CRD PT Cruisers 2000-2010. Fits either side. Replacement front hub for the PT Cruiser. (Does NOT include the wheel bearing). Fits all PT Cruisers, 1.6, 2.0, 2.4 and 2.2 CRD. 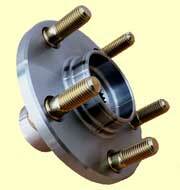 Replacement rear hub bearing complete with hub assembly for the PT Cruiser - fits either side. 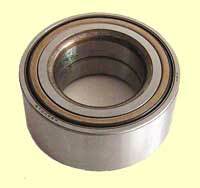 (Bearing and hub not available separately). 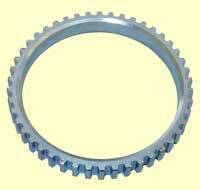 There are two types: 2000 & 2001 models have a ‘raised cogs’ ABS speed ring. January 2002 onwards models have an ABS speed ring without cogs. Fits all 1.6, 2.0, 2.4 & 2.2 CRD PT Cruisers 2000-2010. Replacement wheel studs for the PT Cruiser. Fits all 1.6, 2.0, 2.4 & 2.2 CRD PT Cruisers 2000-2010. Replacement chrome-plated wheel nut for the PT Cruiser. Fits all PT Cruisers with alloy wheels 2000-2010. 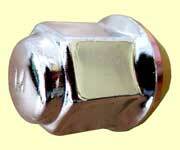 Replacement wheel nuts for 15” steel wheels only - as fitted to Classic model PT Cruisers. Fits all PT Cruisers with steel wheels 2000-2010. Dust boot and bump stop for the front suspension struts. Fits either side for all 1.6, 2.0, 2.4 & 2.2 CRD PT Cruisers 2000-2010. Often overlooked, the top mount bearing for the suspension strut can wear, upsetting the suspension geometry, causing roughness in steering, knocking etc. Recommended for professional fitting only as special tools required. Fits all 1.6, 2.0, 2.4 & 2.2 CRD PT Cruisers 2000-2010. Original equipment Mopar front strut. Recommended for professional fitting only as special tools required. Fits all 1.6, 2.0, 2.4 & 2.2 CRD PT Cruisers 2000-2010. 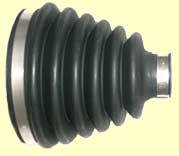 Top quality KYB Excel-G replacement rear shock absorber for the PT Cruiser. Fits all 1.6, 2.0, 2.4 & 2.2 CRD PT Cruisers 2000-2010. Replacement rear suspension brackets. Very occasionally one of these mounting brackets on the rear suspension may corrode to a point when it needs to be replaced. Click the photo for more pictures and information.Fits all 1.6, 2.0, 2.4 & 2.2 CRD PT Cruisers 2000-2010. These replacement OE spec. coil springs will restore handling and ensure that ride height and body sway are returned to original standard specifications. Fits 2.0, 2.4 and 2.2 CRD 2000-2010. Replacement fuel tank straps for the PT Cruiser. Fits all models 1.6, 2.2CRD, 2.0, 2.4 & 2.4 turbo 2000-2010. Set of two. 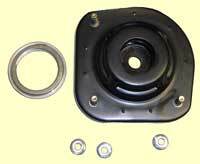 ABS Reluctor Ring to fit to the front axle on the PT Cruiser. A fault in the ABS system will cause the dashboard ABS warning light to switch on or to flash. This can be caused by an ABS ring that has failed - normally due to excessive corrosion. The ABS rings we supply have a tough anti-corrosion plating to give them a far longer life than standard reluctor rings. Fitting guide. 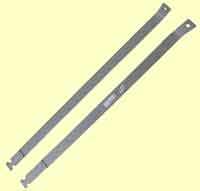 Replacement drive / half shafts for 1.6, 2.0 and 2.4 litre PT Cruisers. The need to change a driveshaft is often due to a damaged ABS ring rather than a worn CV joint. The CV joints are not available separately. Fits 1.6L, 2.0L, 2.4 litre manual & automatic PT Cruisers 2000-2010. (Does NOT fit 2.2 CRD Diesel or 2.4 litre Turbo models). 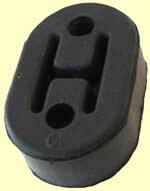 Replacement CV boot - supplied with fixing clips and moly grease. Fits 1.6L, 2.0L, 2.4 litre manual & automatic PT Cruisers 2000-2010. (Does NOT fit 2.2 CRD Diesel or 2.4 litre Turbo models). Exhaust rubber mounts/hangers for the PT Cruiser. There are three of these mounts, one on the exhaust pipe and two on the silencer back box.